What better thing for a person living in Colorado with easy access to world class, lift-served skiing to do than to hike their ski gear up a hard, crusty glacier or mountain for one run. 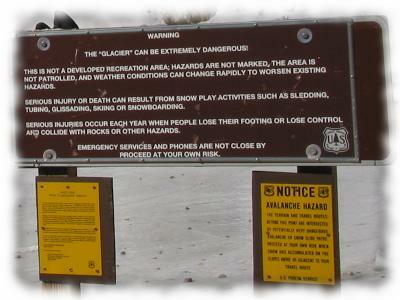 I won't even go into the avalanche dangers. 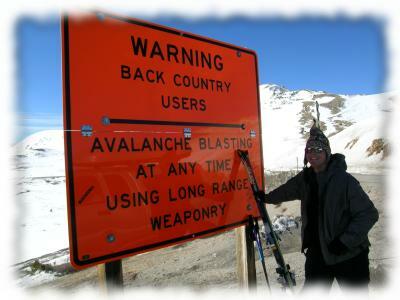 Yep it's backcountry skiing. Movies courtesy of my videographer, Bernie with my Nikon Coolpix 5400. Movies courtesy of my videographer, Bernie and his Canon G2. AVI 5.5 MB Preparing for a ski descent. Listen to that wind and look at those pole straps! AVI 3.6 MB The descent. It was windy, cold, and the snow rock hard. AVI 5.6 MB Very top of St. Mary's Glacier where it ends at the parched alpine tundra. 2048x1536 (mine) or 2272x1704 (Bernie's) JPEGs. Nicely thumbnailed for your pleasure.